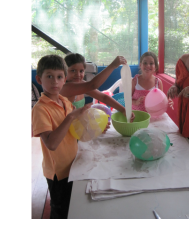 English classes for children, teenagers and adults in our community! We have English classes for children, teenagers and adults in our community Monday through Saturday! Contact us for more information! Teenage and adult classes are in the evenings from 6-9 pm and children come on Saturday for 2 or 3 hours depending upon their age. All of our classes are dynamic and interactive. We sometimes use textbooks and we always create our own activities and materials to support our learners in their learning. Our teachers are trained, thoughtful, caring and dedicated to their students as learners and as human beings. 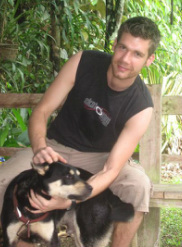 Davy is from Belgium and has been teaching children, teenagers and adults for over three years at Centro Espiral Mana. Enjoying life and growing as an English teacher have been his main interests for the last 4 years! Before this he worked a couple of years as a social worker in Belgium. He has always enjoyed working with people and he likes to help others find their way in life (as a teacher/tutor or as a friend). He tries to set a good example and live his life searching how he can become his best possible self. He believes that life is filled with possibilities/goals waiting to be realized, and that friendly cooperation is the best way to achieve those goals. Sara is from a small sweet town called Bow, Hampshire. At the University of New Hampshire she received a BA in Marketing and EcoGastronomy from the Whittemore School of Business. As part of her program she studied abroad in Ireland and Italy, focusing on sustainable, local food production and preservation of food culture. During this time discovered her passion for learning about holistic health, nutrition, agriculture and education, highly influenced by the philosopher Rudolf Steiner. She came to Costa Rica to intern at Finca Luna Nueva, a biodynamic farm and ecolodge, specializing in growing ginger and turmeric. 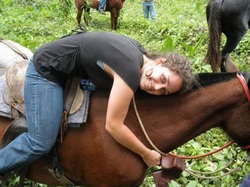 After nine months of interning on the farm, falling love with the people and this area of Costa Rica, she decided to learn about teaching English as a second language. Now she both works at Finca Luna Nueva, coordinating the biodynamic agriculture program and teaches the kindergarten and elementary school children's classes at Central Espiral Mana.